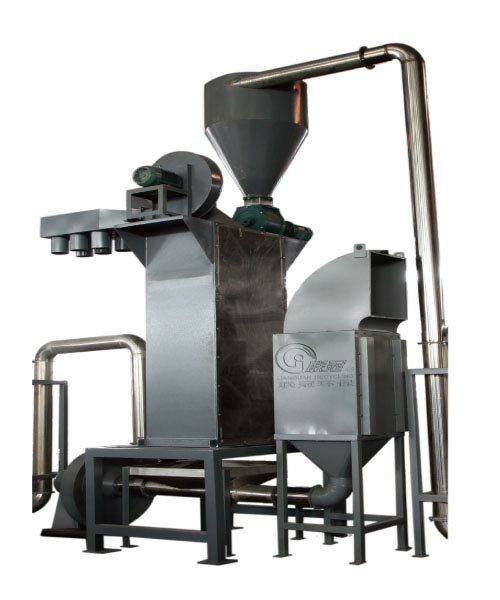 This machine principle uses the material gravity and vacuum condition. When it is running, the equipment is sucked at the top by fan, and the heavier PET material is slanting down. The lighter film label is sucked up by fan to separate the film labels from the PET flakes.